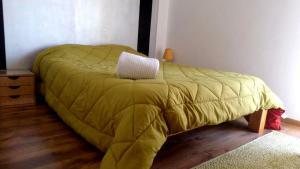 Souto Flat Accommodation is a self-catering accommodation located in the historical centre of Braga. The property offers a modern yet simple decoration plus free WiFi in all areas. 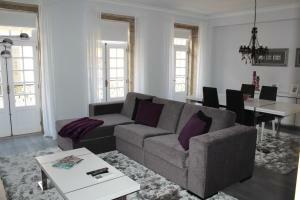 It is equipped with a flat-screen TV, air conditioning, a sofa, a dining area and has access to a balcony. 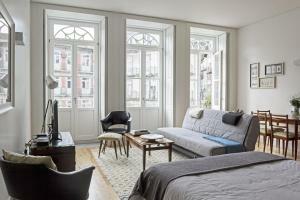 Residencial Centro Comercial Avenida Bragashopping price per day from € 25 Opposite Praça da República, this hotel is located close to Braga’s most well known monuments, gardens and museums. Private bathrooms and cable TV are standard in all air-conditioned rooms. Braga’s historic cathedral is just a few minutes’ walk from the hotel..
Albergaria da Se price per day from € 22 Situated next to Braga Cathedral, Albergaria da Sé offers free Wi-Fi and air-conditioned rooms in the centre of Braga. 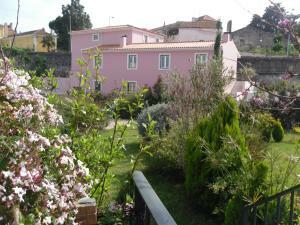 The property is situated 200 metres from St Paul’s Church and a 5-minute walk from the Roman Idol’s Fountain. Saboresgelados Alojamento Local price per day from € 25 Situated in the historic centre of Braga, Saboresgelados offers soundproofed rooms with a flat-screen TV. 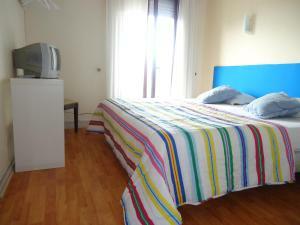 Entirely refurbished in 2011, the hotel provides free Wi-Fi and an on-site cash machine. Hotel ibis Braga price per day from € 39 The Ibis Braga is located north Braga’s historic centre in quiet, natural surroundings and the Geres National Park. All of the air-conditioned rooms at Ibis Braga have a contemporary feel. 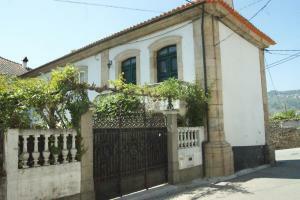 There are a number of shops and restaurants within easy reach in Braga. Truthostel Located in the heart of Braga city centre, this hostel is surrounded by restaurants, shopping centres and museums such as the Nogueira da Silva Museum. Each are decorated with wooden furnishings and some rooms and apartments have private bathrooms. Hotel Dos Terceiros price per day from € 19 Featuring air-conditioned rooms in the centre of Braga, this hotel is a 2-minute walk from Braga Cathedral and the historic centre. 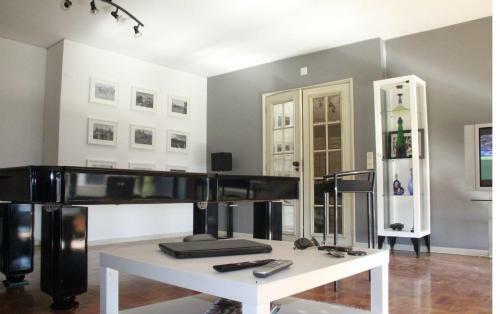 Cable TV with 36 channels and a work space are standard in each of Dos Terceiros’ rooms. Oporto and its airport are 40 km from the property..
Hotel Dona Sofia price per day from € 40 Located in Braga’s historic city centre, this hotel is only 200 metres away from the Sé Cathedral de Braga. The air-conditioned rooms at the Hotel Dona Sofia are decorated in warm colours and include a modern, private bathroom. Hotel Dona Sofia is just a 10-minute walk from the train station, and 40 km from the Francisco Sá Carneiro Airport..
Cathedral Guesthouse price per day from € 68 Centrally located in historical Braga, Cathedral Guesthouse is sited just 40 metres from the iconic Sé de Braga. The unit features accommodation in comfortable rooms and studios, in a renovated building with modern furnishings. Breakfast is included in the room rate and served each morning for all guests of the Cathedral Guesthouse..
Penthouse historical center Braga price per day from € 80 Located in the historical centre of Braga, this apartment offers panoramic views of Santa Barbara Garden and 14th century Medieval Castle which are 50 metres away. The spacious living area is carefully decorated and features a large sofa, billiards, wooden floor and a flat-screen cable TV. Alternatively guests will find plenty of dining options within 100 metres, including traditional Portuguese restaurants..
Town of Longos (~5.8 km). 2+ accommodation units ! Town of Prado (~7.1 km). 2+ villas/holiday houses ! Town of Martim (~8.4 km). 2+ villas/holiday houses ! Town of Covelas (~8.9 km). Town of Amares (~10.6 km). 4+ apartments !